OMSONS HOLIDAY INN PVT LTD Omsons is counted amongst one of the top most and leading Export House, established in 1979 and have achieved the milestones in Quality and customer satisfaction during these past 32 Years..
Our exquisite products are available in exotic designs and stand testimony for our craftsmanship. We manufacture decorative classic and modern trendy products in different finishes . They bring life in the home ambience. We also bring a stunning range of contemporary arts. These metal arts exude sensational look and are carved by putting in a lot of attention to every detail. Our craftsmen have the capability to carve out all styles & shapes as per clients' choice. These contemporary arts items are ideal to be presented in the form of gifts or for decorative purpose. Stylish and trendy products are manufactured in customized designs at our premises. The highest quality material is used in the production to bring our quality product. These pieces are perfectly finished by our artisans giving attention to detail for maximum brilliance and elegance. Minute attention is given to carve decors in various customized designs as per client's specifications. These make ideal gifts on small occasions and can also be kept in any corner of home . Our decoratives enhance the dÃƒÂ©cor of any place and provide a beauty to the surroundings. Our decoration items are sure to ignite everyone's innovative home decor ideas. Federation of Hotel & Restaurant Associationss of India, often known by the acronym, FHRAI, is the Apex Body of the four Regional Associationss representing the Hospitality Industry. FHRAI provides an interface between the Hospitality Industry, Political Leadership, Academics, International Associationss and other Stake Holders. 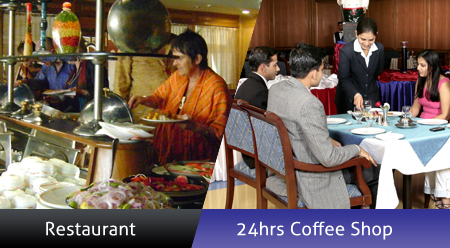 FHRAI is committed to promote and protect the interests of the Hospitality Industry. With more than 3824 members comprising of approximately 2484 hotels, 1204 restaurants, 132 associate members and the 4 regional Associationss, FHRAI is truly the voice of the Hospitality Industry that brings several million dollars to the exchequer and employs more than 17 million direct workers. H&RA- Since February 1951, when the Hotel and Restaurant Associations (Western India) was incorporated as a Company limited by guarantee and not having share capital, the Associations has served the interests of the hotel and restaurant industry. The Associations over the last several years has taken effective steps to encourage, promote and protect the interest of member establishments. It has been rendering professional assistance from time to time to all its members on topics of vital importance. The Associations renders assistance during promotion & operation of any hotel and/or members, information on various aspects such as applicability of laws, tax matters, labour, liaison with the tourist department, foreign exchange & import licensing, etc. The Associations issues from time to time circulars clarifying matters concerning the hotel & restaurant industry & brings out a monthly bulletin. The Indian Associations of Tour Operators (IATO)- is the National body of the tourism industry. It has over 1500 members covering all segments of Tourism Industry. Established in 1982, IATO today has international acceptance, and linkages. It has close connections and constant interaction with other Tourism Associationss in US, Nepal and Indonesia, where USTOA , NATO and ASITA are its member bodies; and is increasing its international networking with professional bodies for better facilitation to the International traveler visiting not only India but the entire Region. IATO interacts closely with the Government on all critical Issues affecting the Tourism Industry in India with the highest priority to Tourism facilitation. It interacts closely with all Government Ministries / Departments, Chambers of Commerce and Industry, Diplomatic Missions etc. It acts as the common medium between the Decision Makers and the industry, and presents the perspective to both sides, synergising their common agenda of Tourism facilitation. All IATO members observe the highest standards of professional ethics and offer personalized service to their clients. Associations of Domestic Tour Operators of India (ADTOI), National Body of Domestic Tour Operators, constituted on 7th August 1996 with the express purpose of consolidating the efforts of all those tour operators who are actively engaged in the promotion of "Domestic Tourism" in the country. We are nearing 400 members all over India on the rolls and likely to enroll more members to our fold in the near future. Enjoy 'dining-out' with live Indian music with a hint of exotic beverages.